Hello! I’m Chelsea from Two Twenty One. 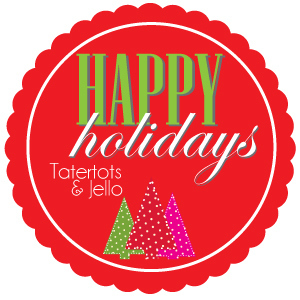 I hope you’re having a splendid holiday season and are looking forward to ringing in the new year! 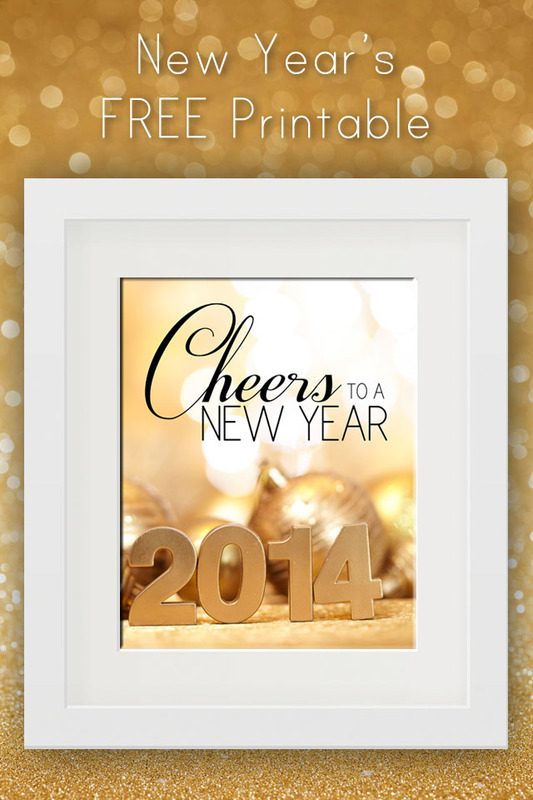 Speaking of ringing in the new year, I wanted to stop by and share a fun New Year’s printable with you. I’m a big fan of printables because they’re instant decor and better yet– most are free. Click HERE to download the 8×10 printable. Wishing you good health and happiness in 2014! Thanks for having me Jen!! This Peppermint Monogram Wreath she did over the holidays was so fun! And, I think you could even leave it up past Christmas too! I love this No Sew Infinity Scarf Tutorial that she shared! 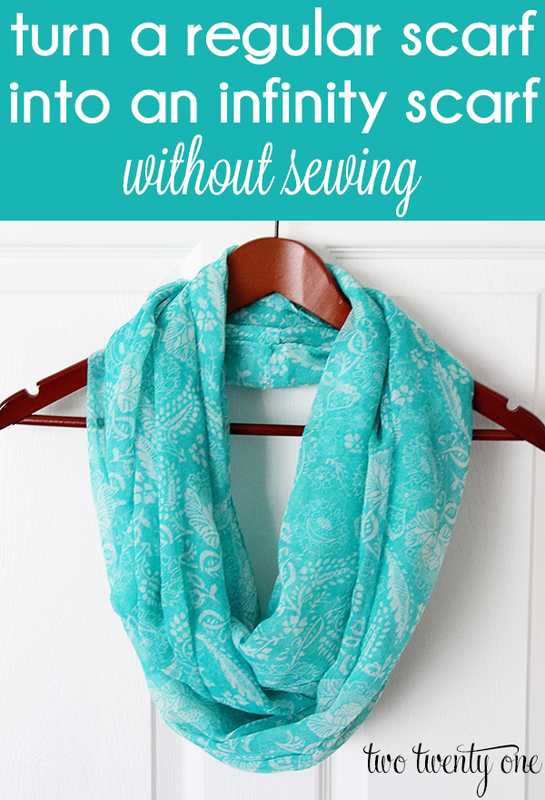 Such an easy way to turn any scarf into an infinity scarf! 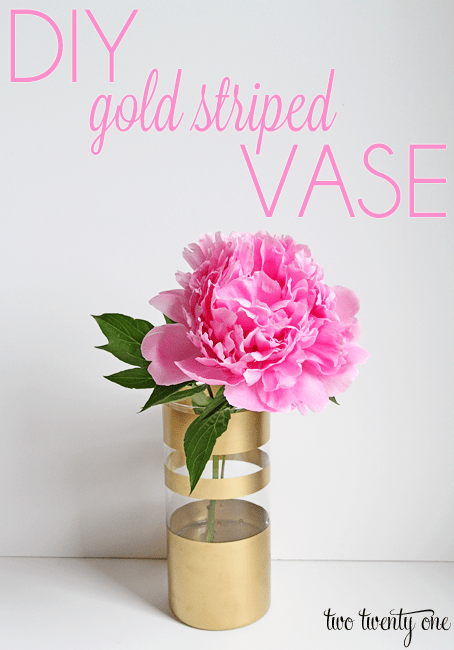 This DIY Gold Striped Vase Tutorial is so pretty!! She has several examples of different patterns you can do too! 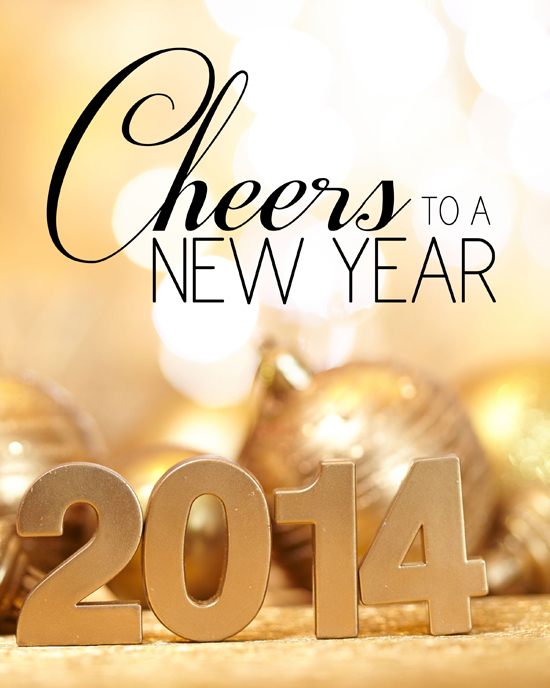 And be sure to check out this fun New Years Even Printable Activity Printable from Today’s Creative Blog! Thank you Chelsea and Jen! Looking forward to some crafting time before the end of this year.